On the first weekend of June was held in Santiago de Compostela the 3rd Clinical Conference of Orthokeratology and Myopia Control (EurOK Ibérica 2018), organized by the Iberian Section of EurOK (European Academy of Orthokeratology). The conference brought together optometrists, ophthalmologists and physicists to discuss safety in orthokeratological treatments. The aim of the conference was to share knowledge among visual health professionals to ensure the well-being of patients undergoing orthokeratology . 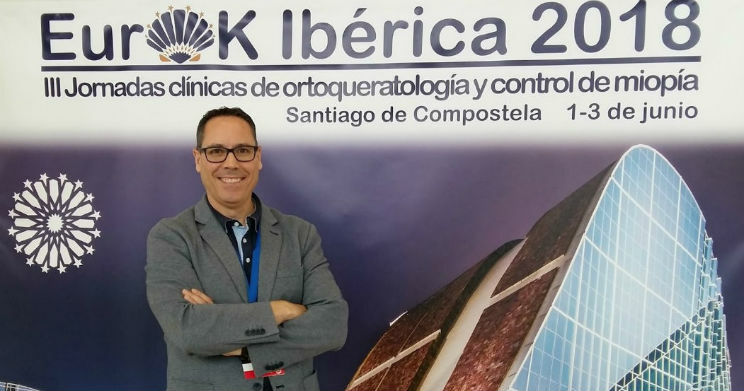 Joan Pérez, optometrist and head of Orthokeratology of the ICR and Vice-president of the European Academy of Orthokeratology, participated as a collaborator in the organizing committee and as a speaker at the conference. The optometrist Joan Pérez presented a paper on the need to use a corneal topographer, and on how to get the most out of it during orthokeratological treatment. 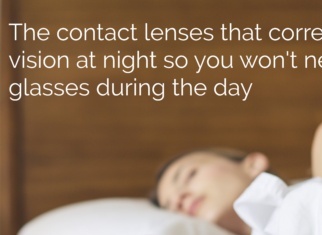 The paper also explained what is a corneal topography and it emphasized the importance of this test, because the contact lens is designed with the results that are extracted from it, and the lens is shaped during all visits that the patient does. 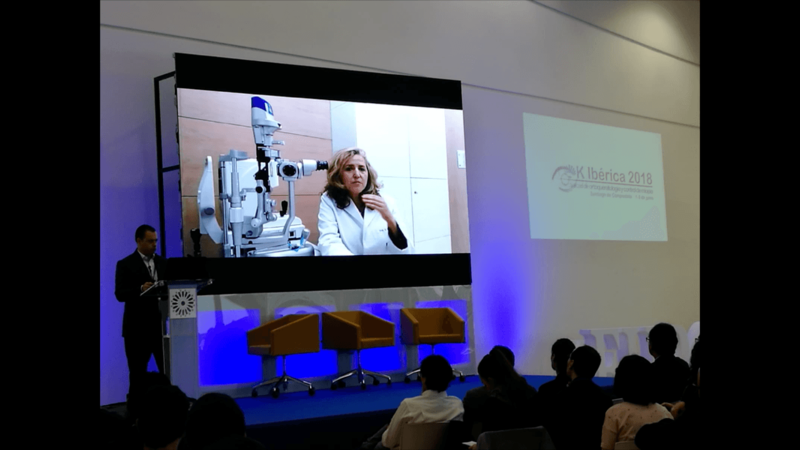 During the conference, Dr. Susana García, head of the Department of General Ophthalmology of the ICR, presented a video explaining what is the ICR’s Myopia Unit and how it works. 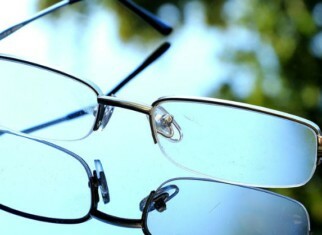 The video explains how the increase of myopia has enhanced the creation of this unit that is meant to offer a comprehensive treatment and a follow-up by a single ophthalmologist to control myopia, permitting a greater patient welfare.